We are very pleased to announce the appointment of “Star Sailing School” as a training provider for our recreational sailing courses up to International Bareboat Skipper Sail. Owner, Ilya Saldaev has held his IYT Bareboat Skipper Certification for 4 years and wants to expand the market in Thailand targeting Russian nationals. Chief Instructor, Nikolay Pismenskii, is highly qualified and holds the IYT Yachtmaster Offshore Sail Certification. Nikolay has been approved as an IYT instructor since February 2016. 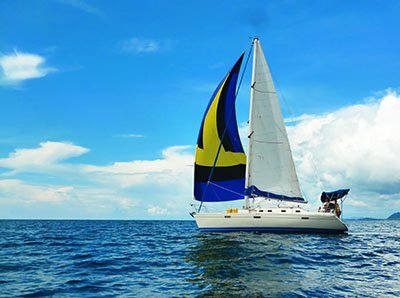 Enjoy a sailing holiday while receiving extensive sailing training in the beautiful blue waters of Thailand.